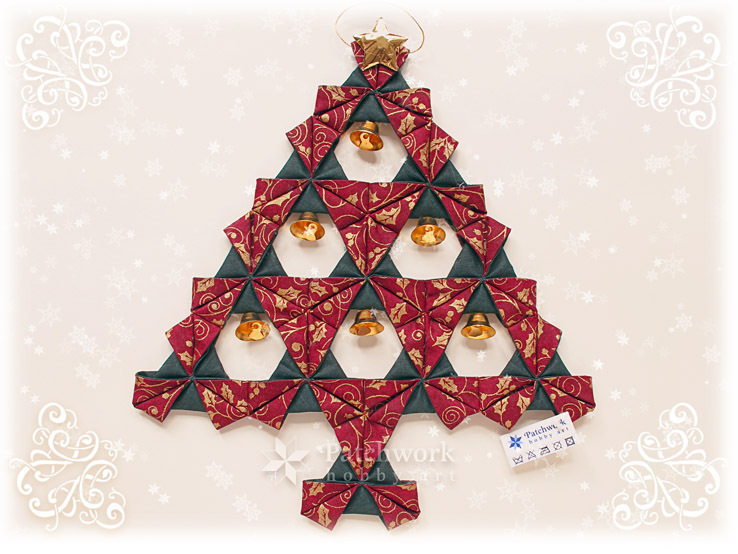 Origami Christmas-tree is a hand made textile decoration to be hanged on - to adorn your wall, door or window. 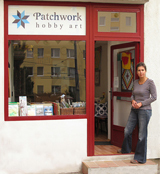 Precise patchwork with traditional Japan Origami technique used. Metal ringing jingle bells and three-D star added to enhance Christmas feeling. Composition: 100% cotton, jingle bells: varnished metal, star: PES.